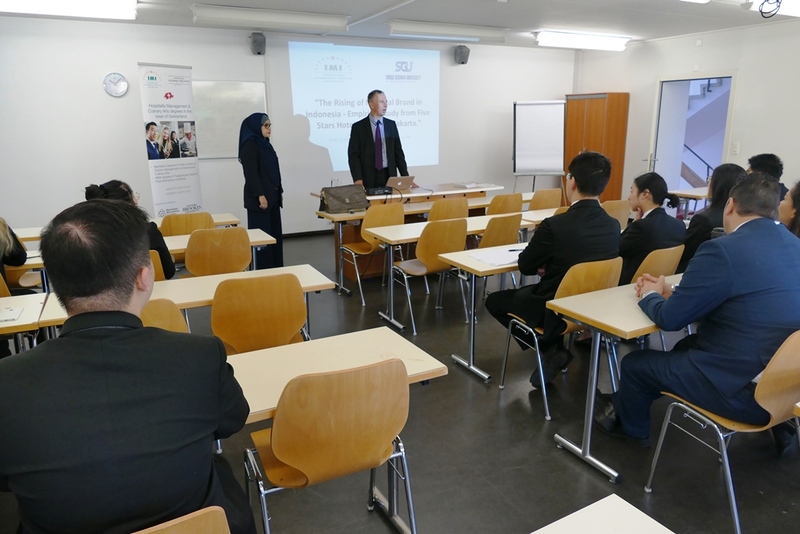 At IMI, we are lucky to have great relationships with a number of partner schools from around the world. 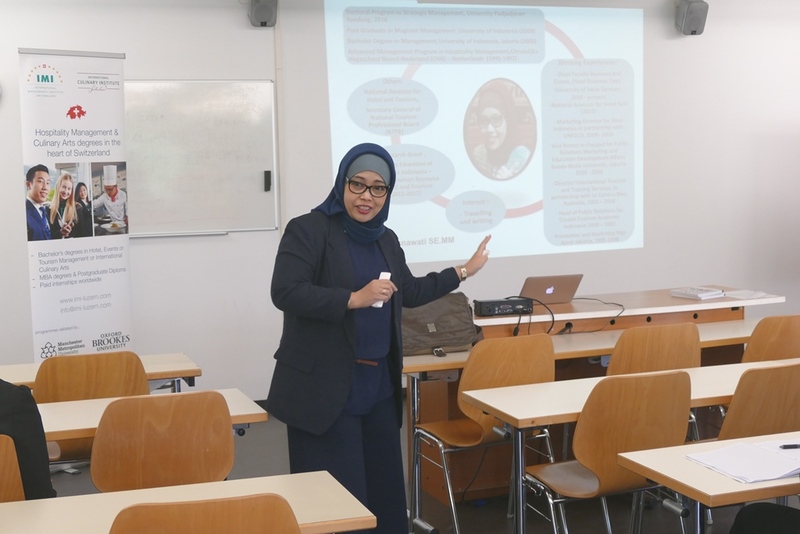 This offers numerous opportunities for the exchange of academic resources, including combined research projects, standardised teaching best-practices and the organising of faculty exchange visits. 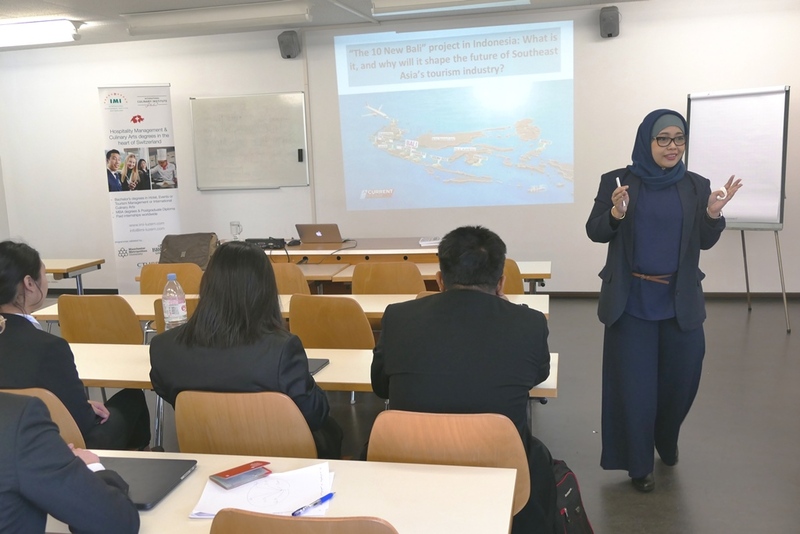 One of our well-established partner schools is Swiss German University (SGU) in Indonesia and we were very happy to welcome their Dean of the Business and Communication Faculty Dr. Nila Krishnawati Hidayat to join us for a week on campus. 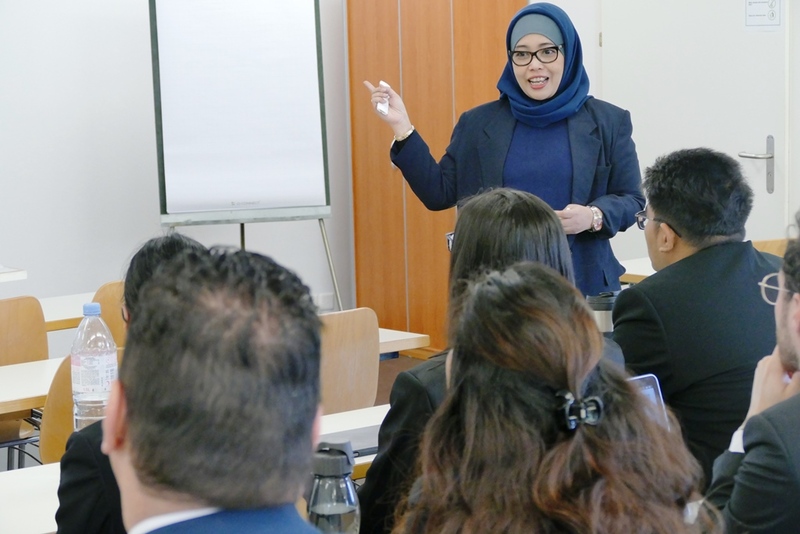 During her time with us, Dr. Hidayat had the chance to sit-in on class sessions, meet with our students (including former SGU students) as well as finding time to explore the city of Luzern and our surrounding area. 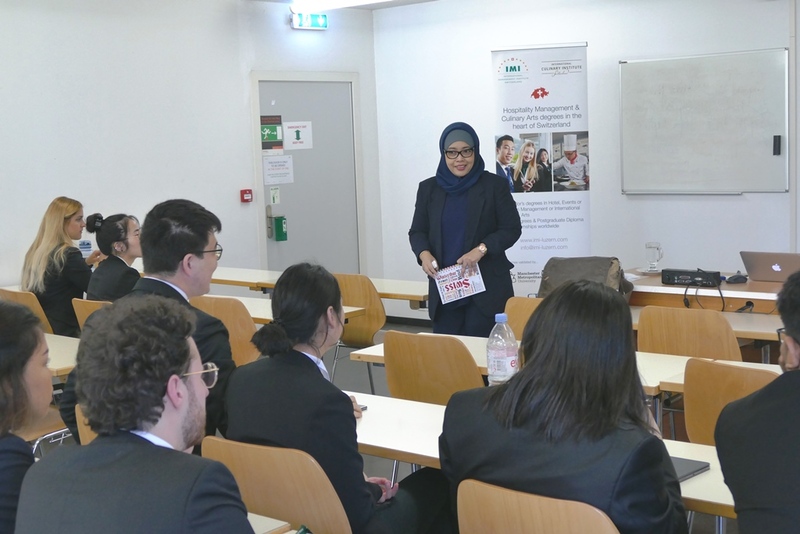 She also had the opportunity to deliver a special guest-lecture to our BA (Hons) Degree students. 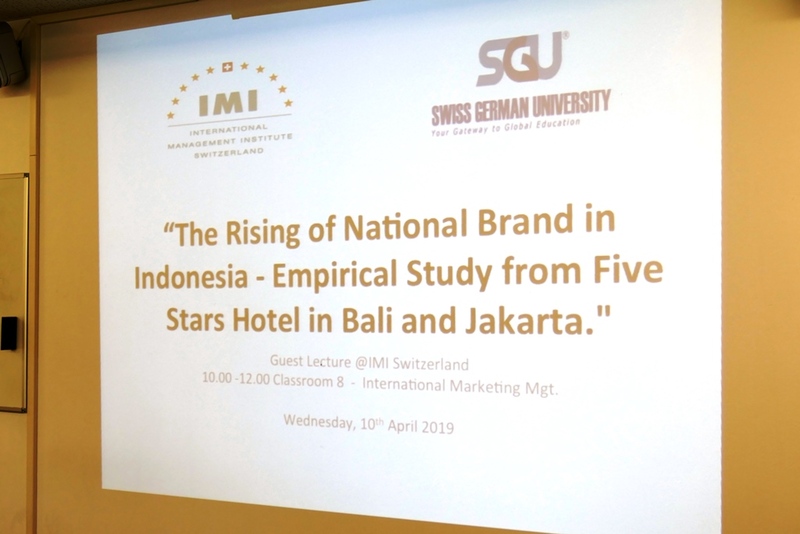 The lecture entitled “The rising of national brand in Indonesia – An empirical study from five-star hotels in Bali and Jakarta” offered our students a great insight into the developing hospitality market in Indonesia and how this ties in with a strong sense of national and cultural identity. 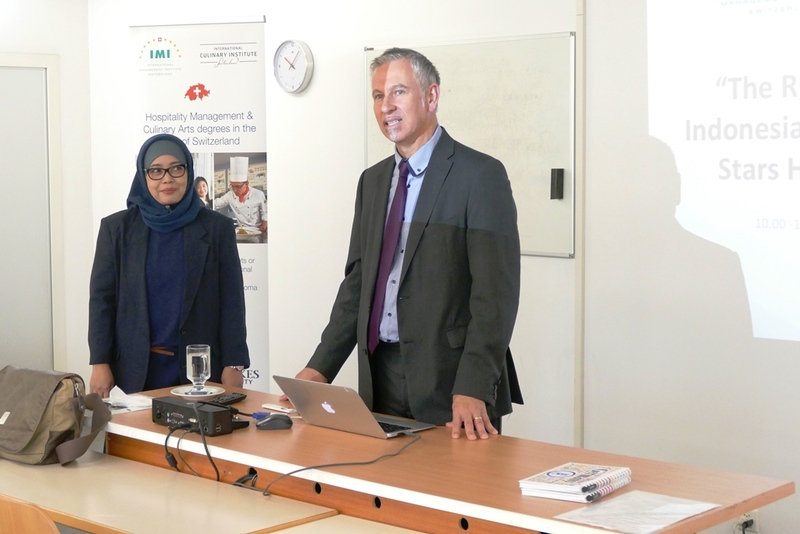 As an international school, we feel it is really important to give our students an international perspective in their studies (rather than focusing solely on Euro-centric or westernised view-points). Having such a wide, international network of partners allows us to bring these perspectives into the classroom and gives our students the best possible base for embarking on their international careers. 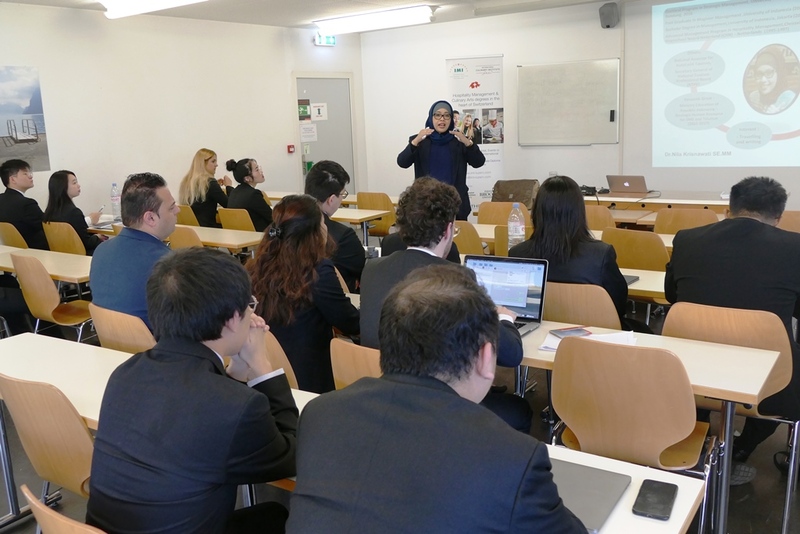 We would like to thank Dr. Hidayat for delivering such an interesting and informative lecture and for taking the time to visit us here in Switzerland!